I wanted to create another entry for The Craft Barn Alpha Challenge - V and found a small scrap of dictionary on my table left over from my first page The word on it - Virago. Now I had no idea what that meant - all I could see was the word 'aggressive' which didn't seem promising. But once I looked it up, the ideas came. I do like to find something out of the ordinary! 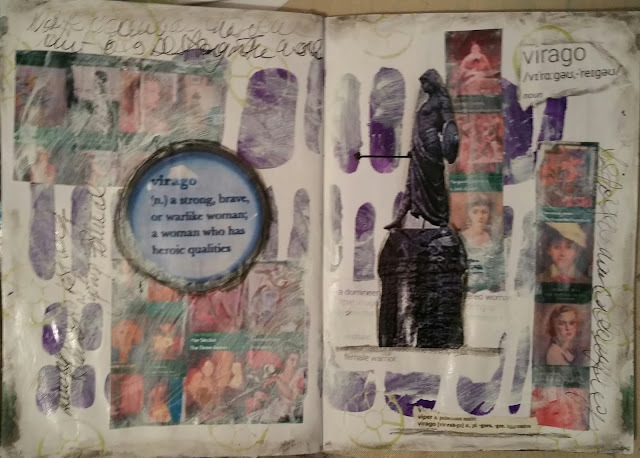 The background for this page just happens to be similar to my other 'V' page as I had put out too much purple paint at some stage and used it up through the same stencil in a couple of journals. 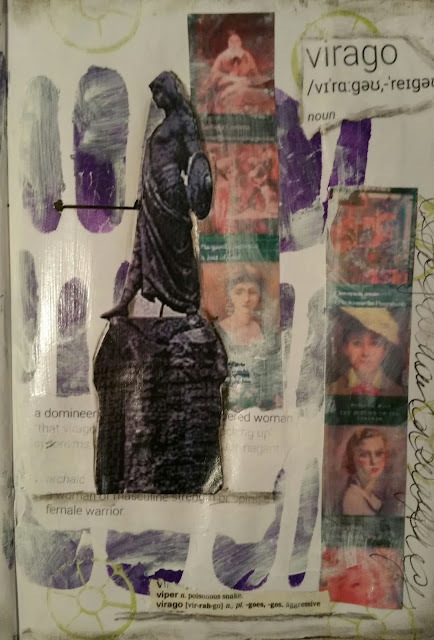 I used images which show books about strong women and pushed it back with gesso, making sure the definitions where still visible. The circular definition is an image of a necklace and the sculpture is a bronze found outside the Casale Monferrato. I used grey Gelato to grunge up the border and added some journalling. What a great word! 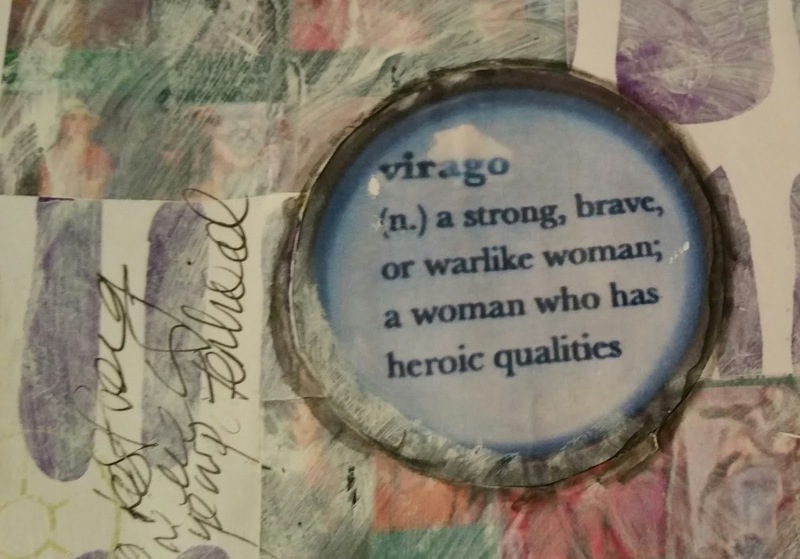 I really like your interpretation of the word and all the strong women on your pages. What a great idea. A great choice of word and perfectly illustrated. Thanks Maggie. I really enjoyed finding out about the meaning of that one.